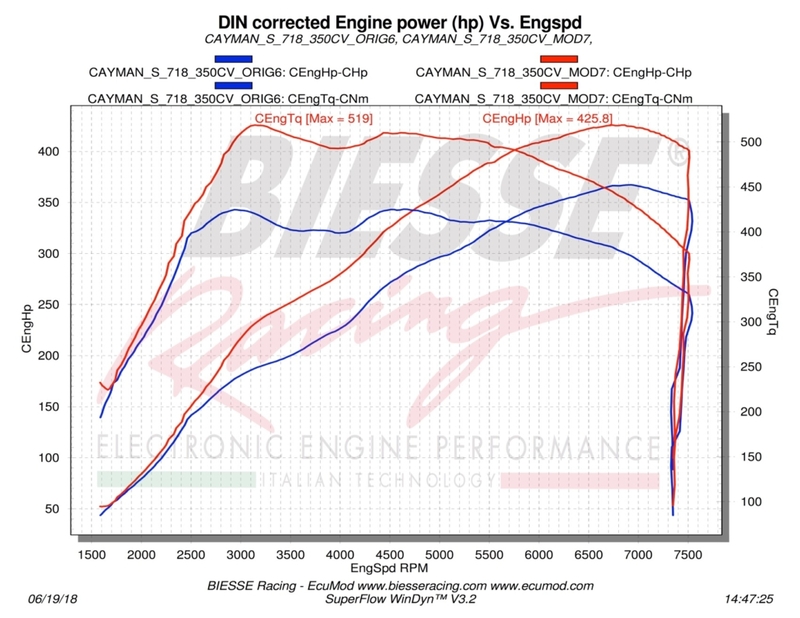 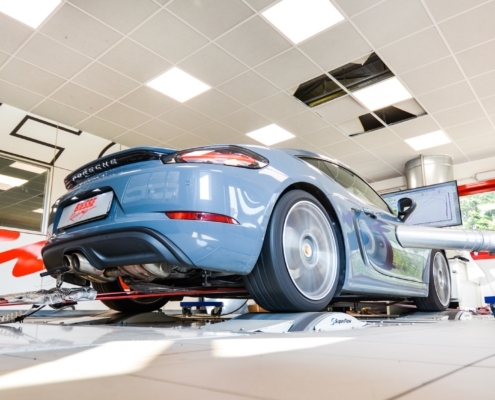 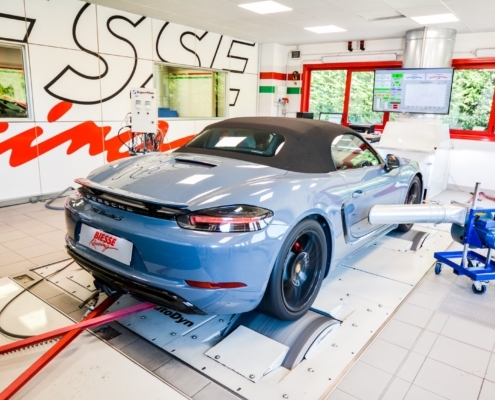 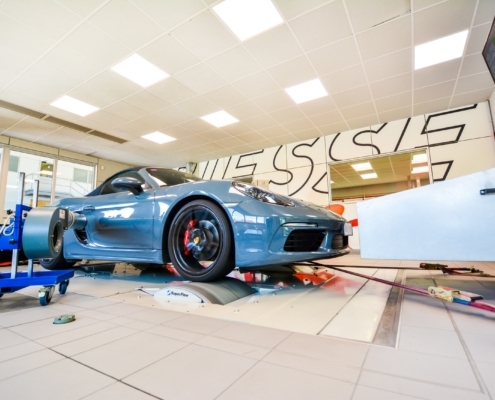 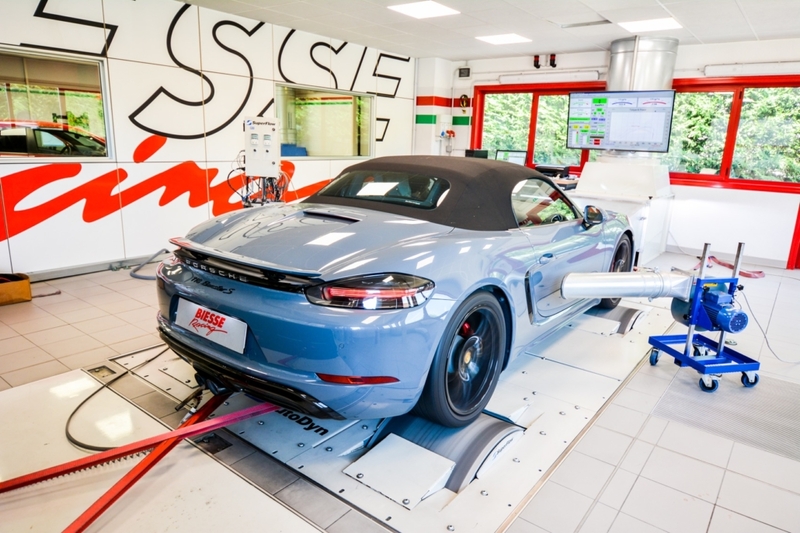 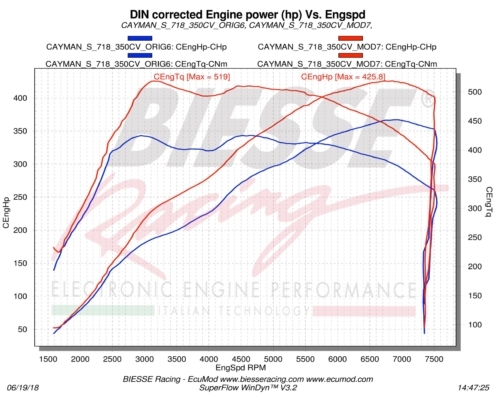 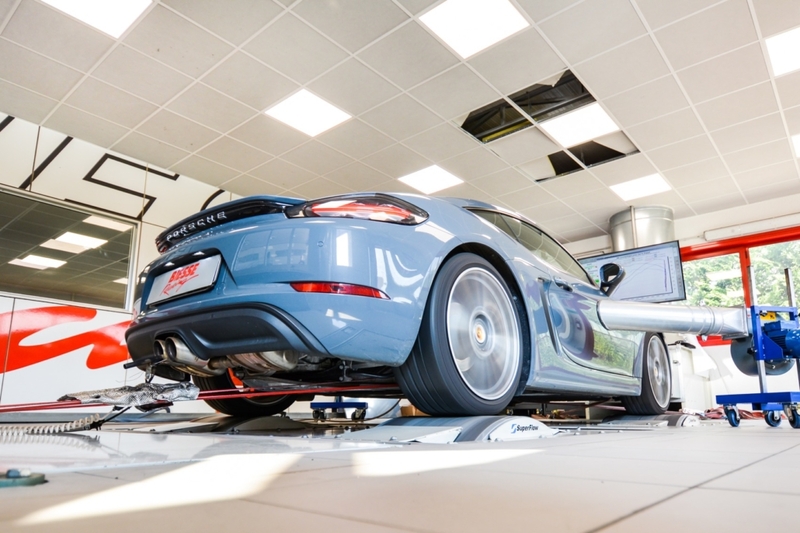 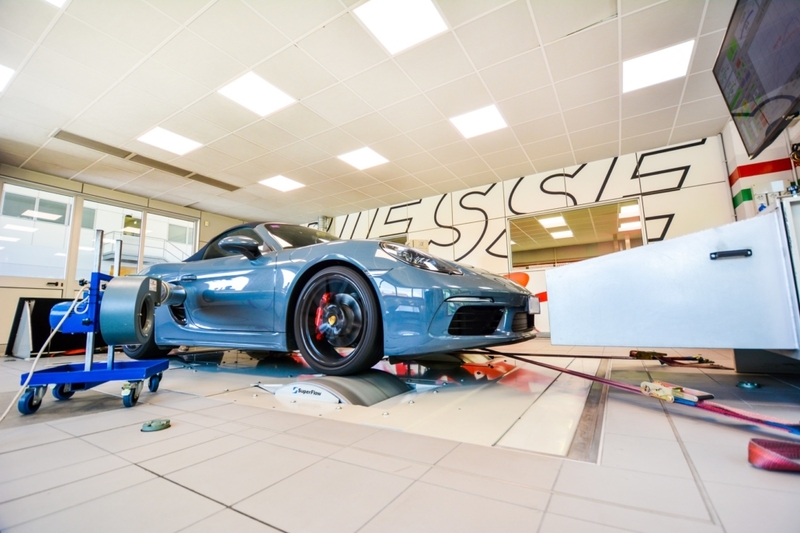 After the impressive power gain achieved on the 718 2.0L 300hp we have finally released the ECU tune for the remaining cayman/boxster range, the 718 S 2.5L with the 4 cylinders boxer engine producing 350hp. 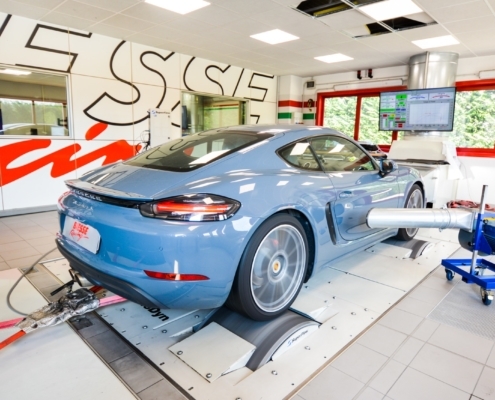 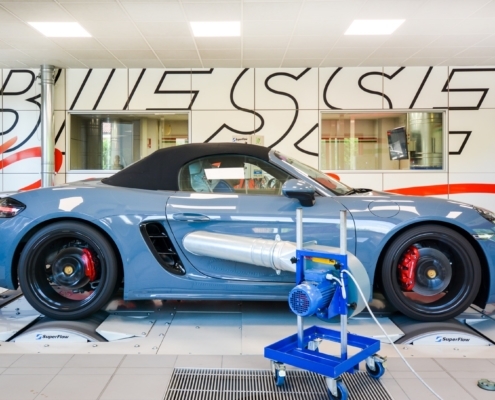 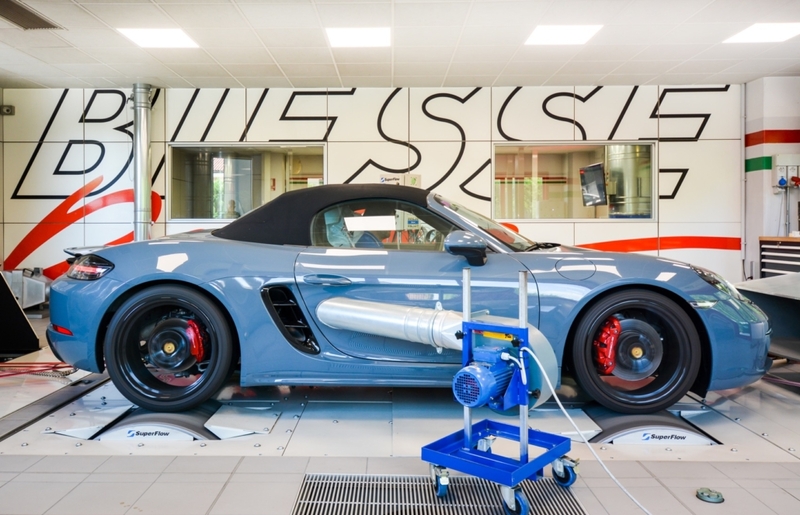 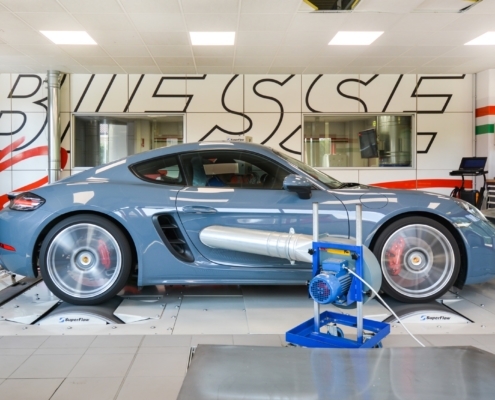 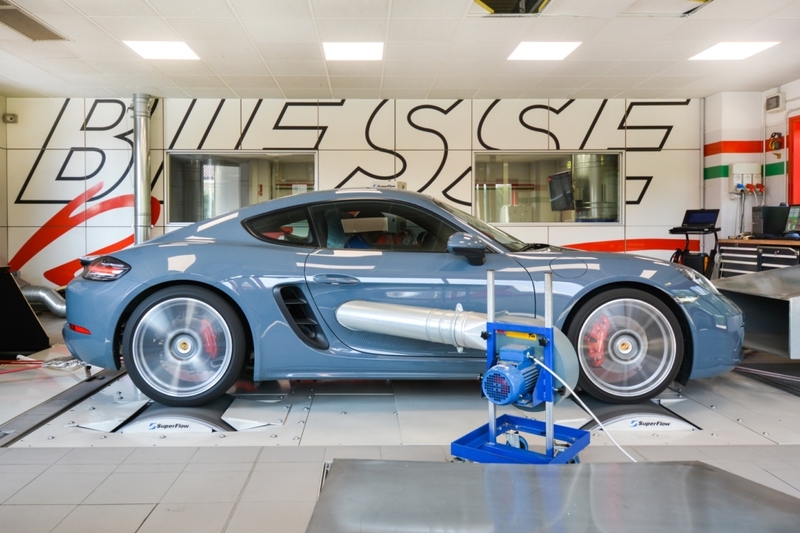 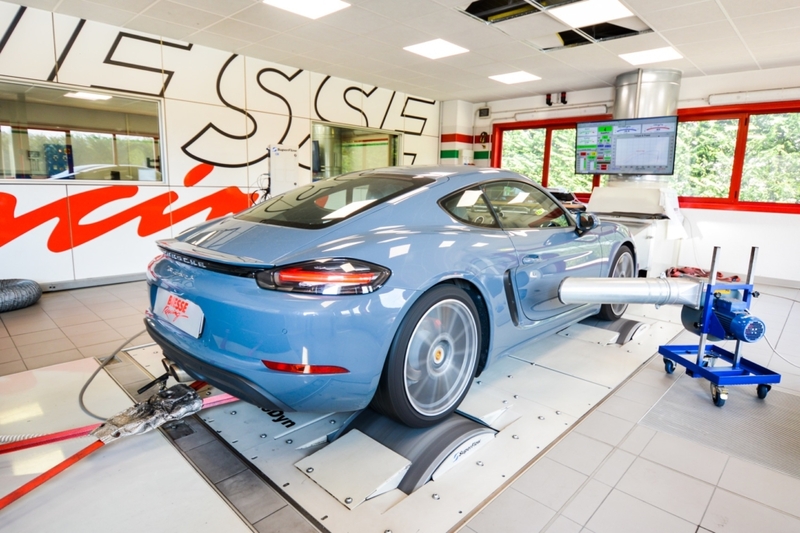 The turbo engine let us to improve the power of the cayman/boxster S 718 up to 425hp and 519Nm of torque. 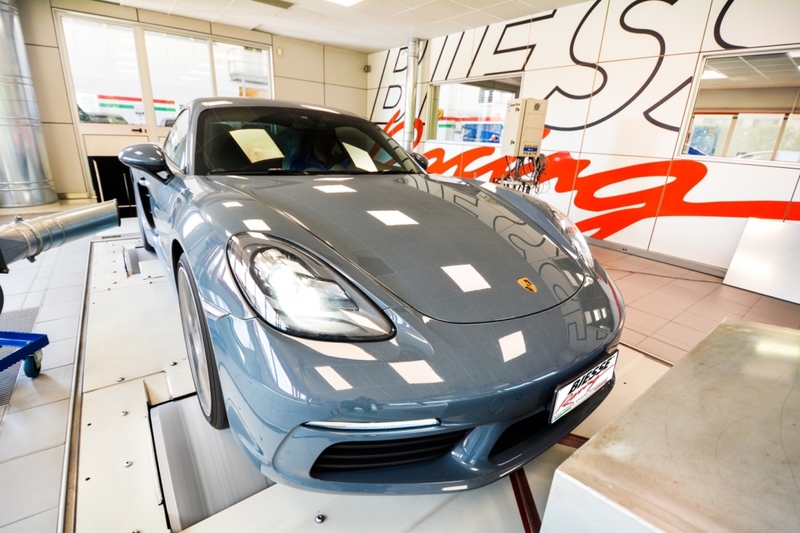 The performance after the tune really matches the 911 level, making the 718 S lighting quick. 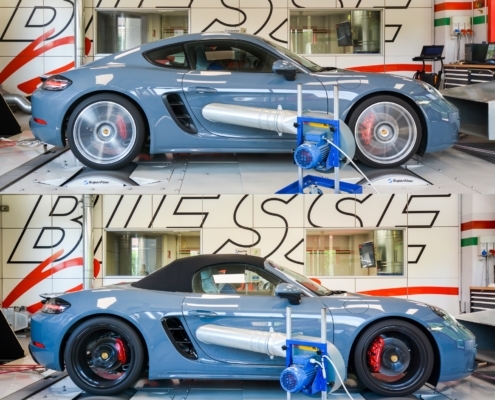 For all of those who were thinking Porsche is protecting the 911 badge limiting the potential of the cayman/boxster, this is the occasion to really compare the two models with very similar power. 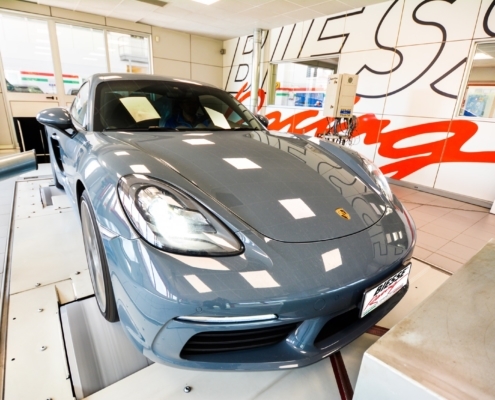 The stock car has showed a higher power than Porsche declared value, 365hp to be exact and 420Nm of torque. 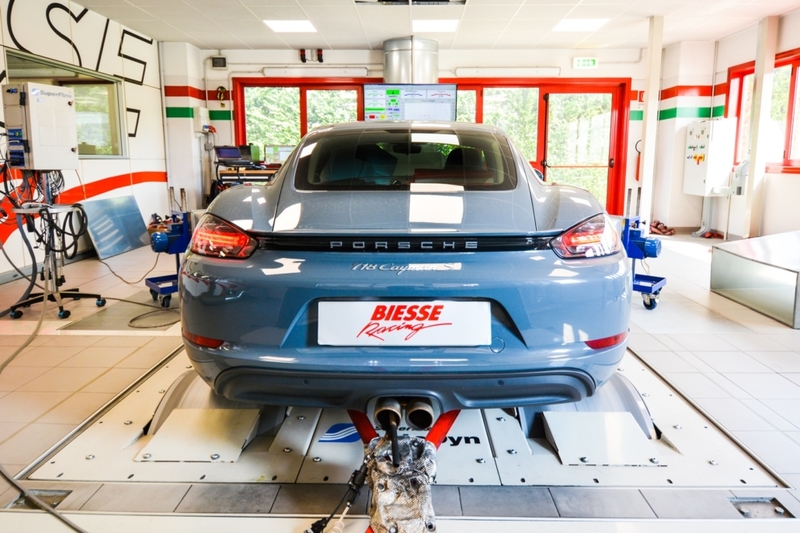 The tune is already available worldwide with our system BIESSE Flasher to be sure that your factory warranty remain active even after deep inspections. 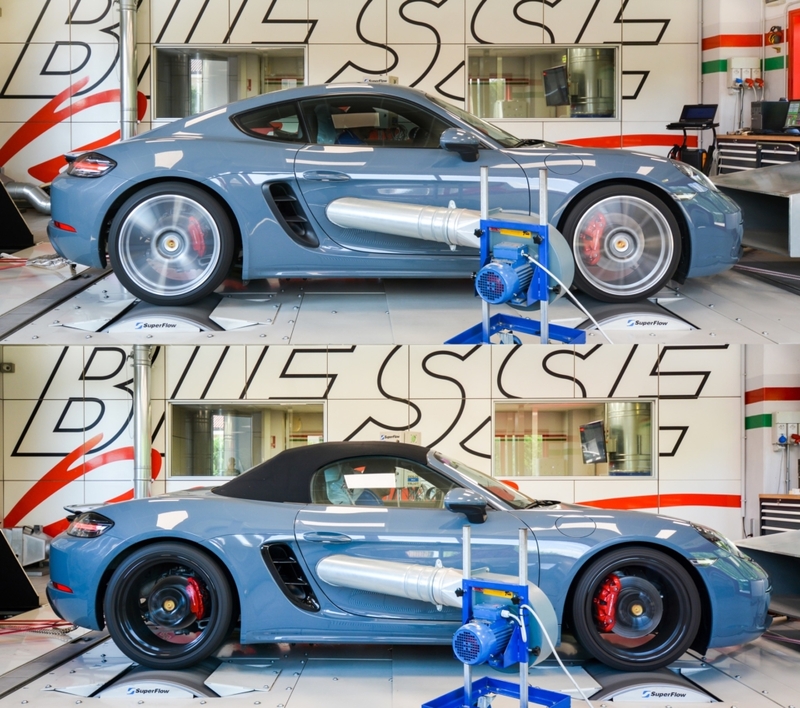 The GTS version can also receive the same upgrade with same results.